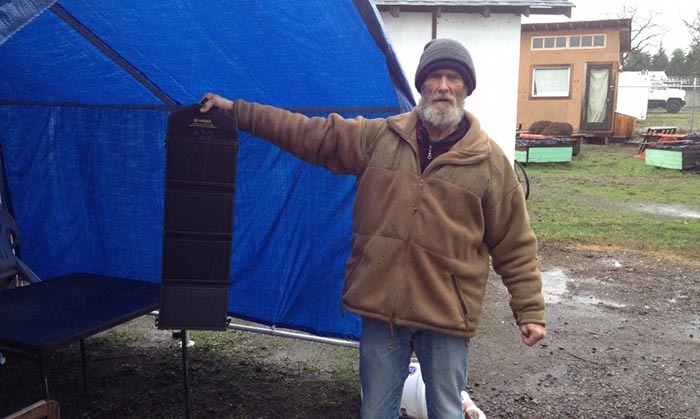 A small tiny house village for the homeless in Eugene, Oregon goes solar with portable solar systems. 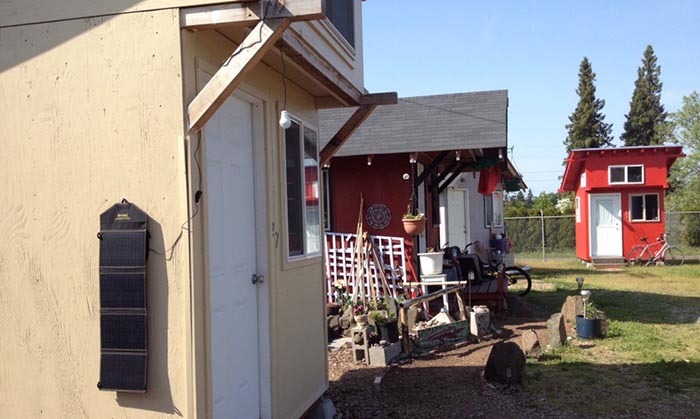 The Opportunity Village is a tiny house community for the homeless which helps them with life’s necessities. Shelter being the biggest. Now they also have power with solar systems provided by Sunjack. The idea is simple. 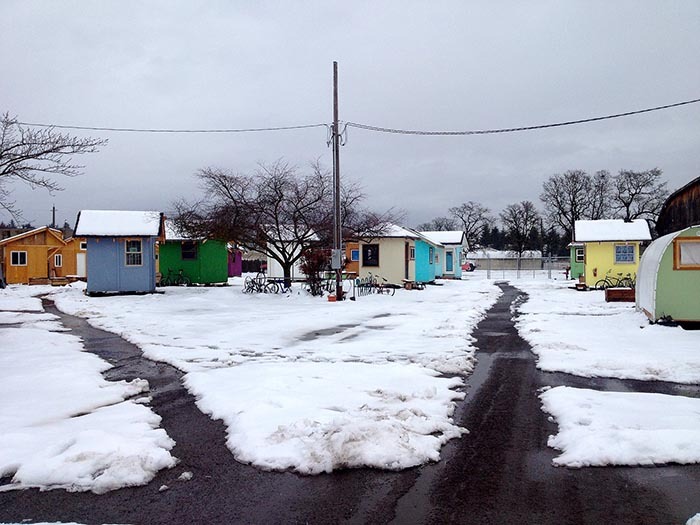 Provide a place to go, the basic necessities, and give people a chance to get back on their feet. 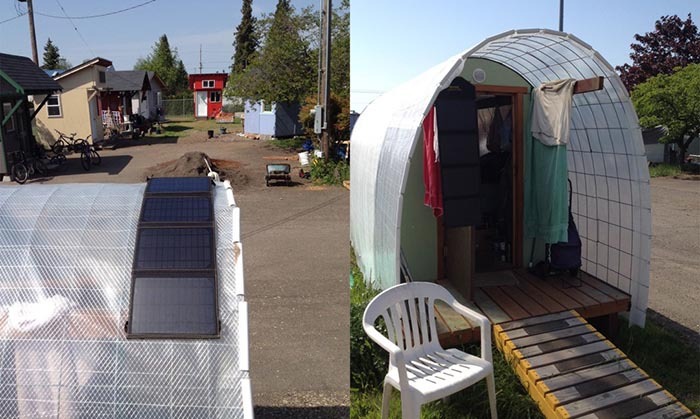 It’s something Off Grid World has been planning for years, and it’s very nice to see someone else doing it successfully. It’s good to see people’s lives being changed for the better. The tiny houses are tiny for sure, but it’s much better than sleeping in the elements unprotected. This is such a cute little community. 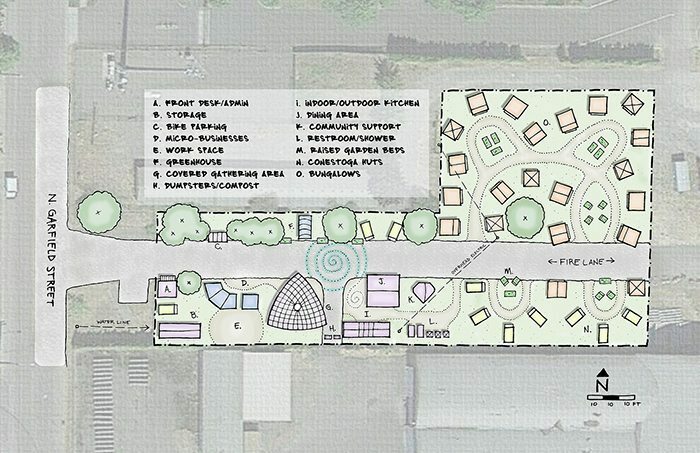 Here’s a map of the whole thing. Now, if we could just put these in every major city across the world we could end homelessness forever.